EuroLeague presented its latest “Focus on” video, which is about Jordan Mickey and his first European season. Jordan Mickey is the star of EuroLeague’s latest “Focus on” video. 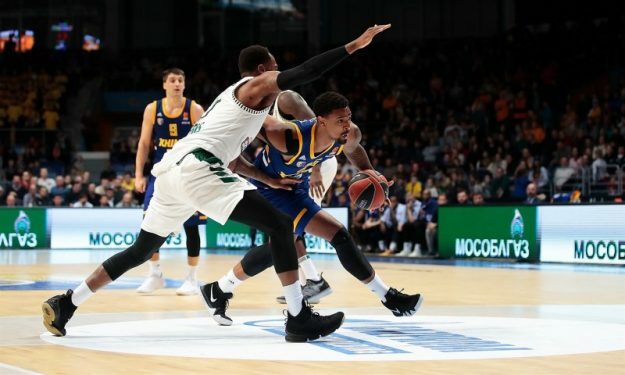 Khimki Moscow Region’s 24-year-old American forward talked about his 2018-19 aspirations and Georgios Bartzokas’ coaching style. “I came over here to broaden my game, hopefully get a little more playing time and develop more as a basketball player” he said and added on his coach: “He’s based his philosophy on the NBA game, the up-tempo game, more running and more athletic guys”. Bartzokas, Anthony Gill and Charles Jenkins were also part of EuroLeague’s video. They all agreed that Mickey is adjusting well to the EuroLeague, fits within the team’s system and could be even better the next few months.